These days, authors don’t just sit home (or in a coffee shop) and write. If you’re a children’s book author (or any type of author, for that matter), you not only have to write (or write and illustrate) your book, but you have to go out and promote it. For example, last spring I did a series of Skype school visits to share the latest editions of my Ballpark Mysteries series with children. And although Skype visits ended up taking a moderate amount of time to arrange and deliver, they were really successful in connecting my Ballpark Mysteries books with children all over the U.S. But marketing your books isn’t a one-shot deal. It’s an on-going task that authors should continue to focus on and learn more about. That’s why I’m always interested to see how other children’s book authors do everything from Skype visits to school visits, and why I kept tabs (via Facebook) on what bestselling author and illustrator Brian Lies recently did to promote the launch of his latest “Bats” book, Bats in the Band (which is, of course, about bats that get together in a deserted theater to make music). To get out and share his book with potential readers, Brian created a completely unique marketing vehicle. And I mean a vehicle–Brian not only customized his car with a colorful “Bats in the Band” wrap, but he also built a Blue Man Group-like set of plastic tubes that fans could play using flip flops. 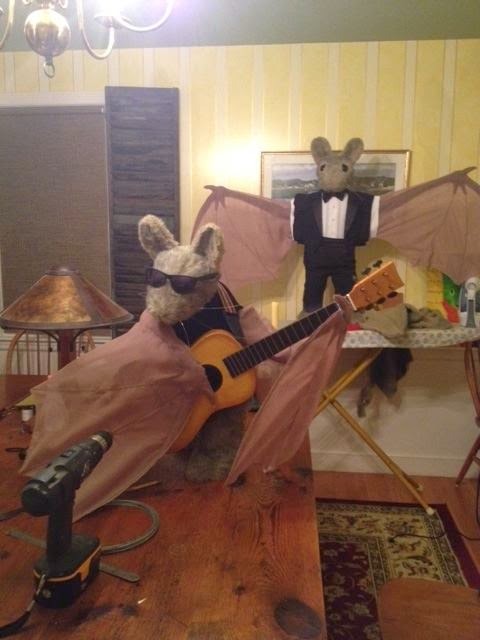 He even created bat musician figures that perched on top of the vehicle (when it was stopped…). Here’s a post from his blog explaining how he created the fiberglass bats, in case you ever want to try–but as you’ll find out from the post, it’s not a small job. Brian Lies Bats for the top of the car. When did the book come out and when did you do the tour? 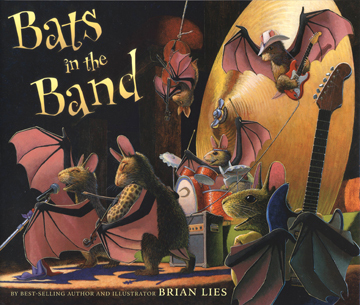 BATS AT THE BAND had an August 5th pub date, and we planned our events so they kicked off on that day. How many bookstores/libraries/places have you visited as part of the tour? So far, we’ve worked with Eight Cousins Books (Falmouth, MA), Where the Sidewalk Ends (Chatham, MA), Brewster Books (Brewster, MA) and Titcomb’s Books (Sandwich, MA) on Cape Cod. Next was a sprint down the Maine coast— Sherman’s Books and Stationery in Bar Harbor, Boothbay Harbor, Camden, and Portland, and Maine Coast Books in Damariscotta. We also did an event at Barnes & Noble in Augusta, and signed store stock whenever we stumbled on a Barnes & Noble. I’ve got several more book events coming up in New England, and a Fearsome Foursome in the Midwest: Red Balloon in Minneapolis, Anderson’s outside of Chicago, the Riverside (IL) Public Library (which is the setting for BATS AT THE LIBRARY), and Reading Reptile in Kansas City, Missouri. How did you arrange the visits? Some of the events are ones we set up ourselves, calling the booksellers we’ve worked with before and asking to get on their schedules. Some, such as the Midwest tour, were set up by the marketing department at my publisher, Houghton Mifflin Harcourt. It really depended on whether we had connections with the booksellers or not. Did you do them back-to-back or spread out over different weeks or weekends? We clustered dates in areas where we needed to travel and stay overnight, but we now have dates around New England that are just several hours’ drive so those can be one-day trips. You used a giant/blown-up version of your picture book—how did you create that? We actually launched BATS IN THE BAND two weeks before the pub date, with a concert for Family Day during the Duxbury (MA) Music Festival. You can see images of the concert—and all of our other tour dates—on our Facebook page, “Bats in the Band.” We knew that the Family Day concert typically brings in 300 participants, and so we knew that we needed something big to read from, something that 300 attendees would actually be able to see. So we asked Dan Easter at the company that did our vehicle wrap (Kingston Sign-a-Rama in Kingston, MA) if he had any thoughts on building an enormous book. He took on the challenge and engineered the whole thing—printing the enlarged images on styrene sheets, then creating a heavy-duty tape and bolt spine for the book. It’s amazing. I love what you did to your car for the tour. How much work did that take, and what’s the “payoff” (for both you, the author, and the fans). 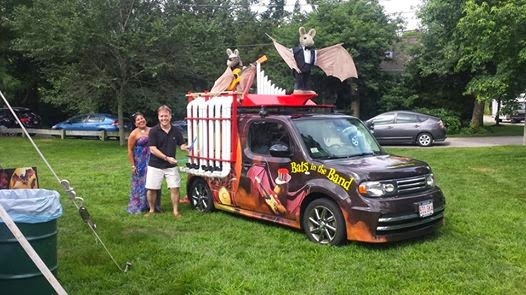 I built a PVC pipe organ (like the ones that Blue Man Group play), which attaches to the car so people can actually play the car, and I built two three-foot-tall fiberglass bats to attach to a box on the top of the car. Everything was built by hand, and took me more than two months. 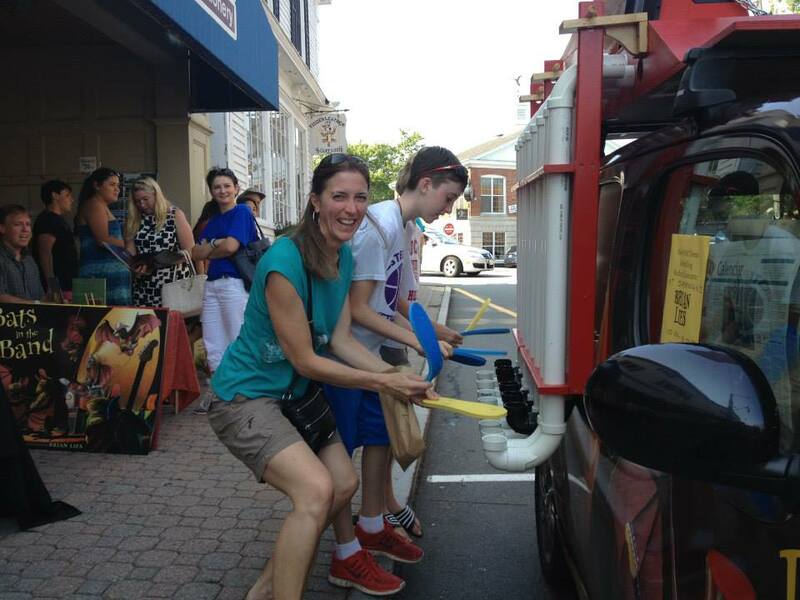 The payoff is really just something that’s whimsical and fun to park in front of a bookstore, and also something interactive, so that kids and families can go up and play the car. Playing music on Brian Lies Bats in the Band car. Lots of book signings are just boring things, with a card table and a pile of books. We try to break that mold and give kids and parents something fun to do while they’re waiting to get a book signed. Author events can attract people of different ages. How do you approach an author event with children (or fans) of different ages and attention spans? We don’t really think of the ages of the attendees when we’re putting things together. My books are picture books, so the attendees are likely to be anywhere from 0-10 years old, plus parents and grandparents. If we can find crafts or activities that will amuse both those kids and their grownups, that’s best. But keeping kids happy for twenty minutes almost automatically keeps their parents happy! The PVC pipe organ seems to have (pardon the pun) really struck a note with people who come to our book events. It’s something you play with no rules—just grab up a flip-flop and bang away at it as you want! And the big book has been a hit—it’s so large that it makes you feel small next to it, like one of those over-sized chairs you see in some roadside attractions. Anything you’d do differently next time? Every book promotion is different, and it’s impossible to see what difficulties you’ll run into in advance. The Batwagon this time around was pretty complicated, with two sections of PVC pipe organ and the rooftop bats, all of which detach and get stowed for driving. I originally hoped to be able to engineer a rooftop device that I could basically unfold from a compact box into the final, elaborate car—and I think that’s possible, but I didn’t have enough time . . . or a machine shop, to be able to fabricate parts I would have needed. If I had to build the whole thing over again, I’d be able to do it in half the time, because most of my time was spent on feasibility tests (“will THIS work?”) and building as I went along. Now I know how to do one of these, and what won’t work, and the process would be streamlined. But I won’t ever build another! Do you have any recommendations for other authors planning a book tour? I think the most important thing is to be creative about it—look at the theme or setting of your book, and think of how you can elaborate on some of the things in the book. Does the book feature some kind of food? Maybe you can serve that food at events, or get attendees to make that food. What crafts can you build on the theme of the book? 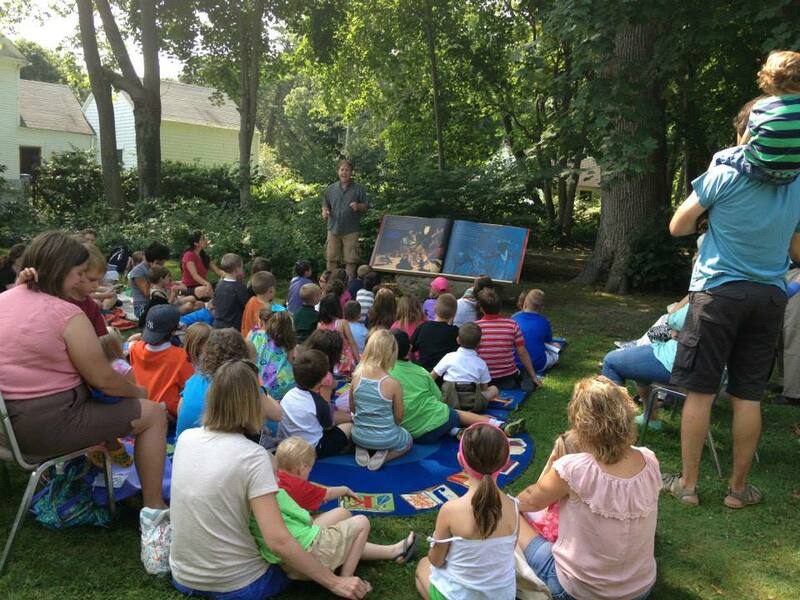 Where’s the natural place to hold your book event? If it’s a book about basketball, see about doing something at the Basketball Hall of Fame in Springfield, MA. If it takes place on a beach, think about getting booksellers to agree to selling books at a sandcastle contest on a beach. If it’s music, as in BATS IN THE BAND, get people playing music. You were creative enough to write the book in the first place—you’re creative enough to come up with fun things to keep people busy while they’re waiting for you to autograph your book for them!